Like I mentioned previously, I sometimes like to experiment with unnatural looks when I edit photos. By that I mean giving photos a look as if they were painted. It does especially work well with photos that have been shot inside rooms. Above is a photo that I shot in a room inside the St. Mary’s Church in Lübeck. The original photo was ok but I edited it heavily and I absolutely love the result. 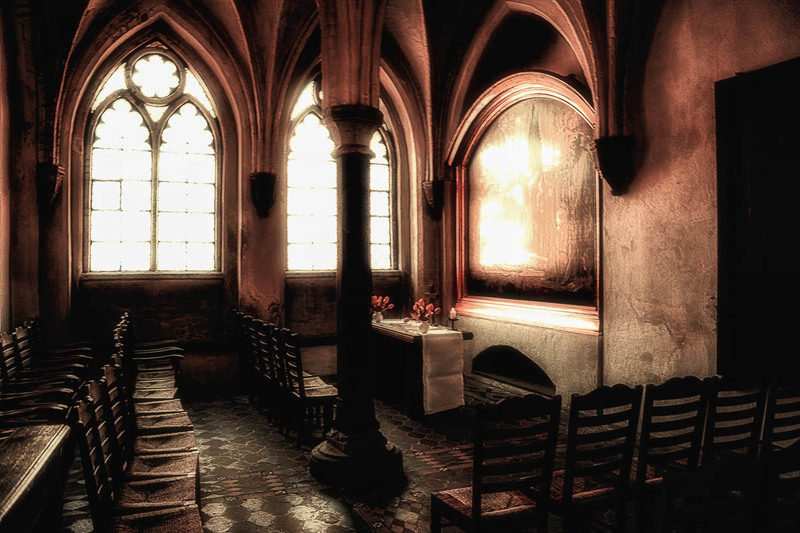 I love the inside of old churches, and how they look outside. Pretty appealing. Quite interesting how they could build these large churches back then. And inside, how they made use of windows and different glas to let light in. Pretty stunning.